Professional, clean and modern Business Brochure Templates ready to use print ready designs. These brochure templates can save your time and money in creating a professional corporate informant. All brochure templates are fully editable, easy to change photos, print ready (CMYK/3mm Bleeds/300 dpi). Easy to use and customizable, every download included help files. Inspiring Tri-Fold, Bi-Fold brochure designs used for all business purpose. Fully editable layers or colors shape and layers. Perfect for fashion booklet, annual reports, proposal, photobook, photography catalog and interior decoration. Easy to use and very customizable, every download included help files. 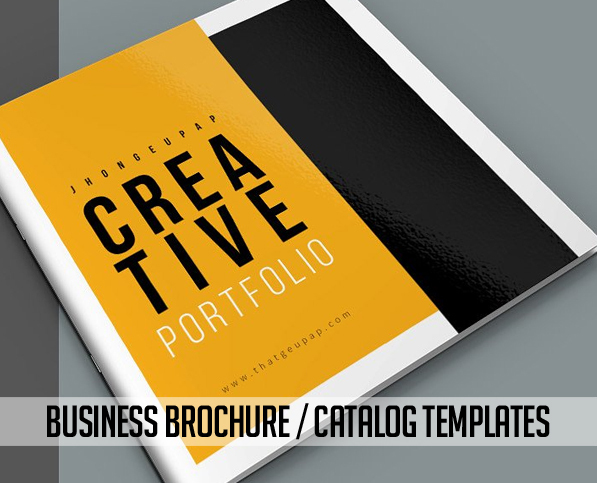 In this post, we are gathered professionally designed brochure catalog templates for your business or even personal portfolio. Premium brochures, which are best to use your next catalog, booklet or annual reports. Let’s take a close look at some of the most beautiful business brochure designs. Good afternoon. I want to buy a 3. Landscape Brochure / Annual Report 2017 Template. I can not find it for purchase. How can I buy it? Just click on image or download button for buying any brochure template.